Some LENOVO Smartphone User Manuals PDF are above the page. Comparatively inexpensive model from Lenovo, which boasts a metal case, as well as a 5-inch screen with a resolution of Full HD. Do you want more? No problems. So, there is a metal case on the back of which you can see a fingerprint scanner. To the merits, we will definitely include a very capacious battery for 4000 mAh. The processor is Qualcomm Snapdragon 430 - not the most powerful processor, but you have not forgotten that we are talking about an inexpensive smartphone? The amount of RAM - 2 GB, internal - 16 GB, there is support for memory cards. Also you can note good by the standards of the camera class. Speaking of inexpensive smartphones, you can not tell about the model Lenovo Vibe B. This is a new 4.5-inch smartphone with a screen resolution of 854 × 480 pixels. The processor is a 4-core MediaTek MT6735M, 1GB of RAM and 8GB of built-in memory. Battery capacity - 2000 mAh. The resolution of the main camera is 5 MP, there is a front camera at 2 MP. Interestingly, despite the low cost of Lenovo Vibe B, it has support for 4G. The next device on our list is the Lenovo Vibe K5. Very interesting apparatus. For example, the fact that there is a metal case (with plastic inserts). Or by the fact that there are two speakers at the back of the case, so the sound is louder and better than the usual smartphones. The diagonal of the screen is 5 inches, the resolution is 1280 × 720 pixels, Qualcomm Snapdragon 415 processor, 2 GB RAM, 16 GB main memory. Powerful enough battery - at 2750 mAh. Want to get a stylish smartphone? Pay attention to the Lenovo Vibe S1. Its body is made using metal and glass - the front and back parts are "clad" in glass, the smartphone looks very stylish, and you can choose the color of the case yourself. There is even a burgundy shade! The second chip is the dual module of the front camera, 8 MP and 2 MP. The main camera module is familiar, has a resolution of 13 MP. The third and fourth chips - a 5-inch screen with Full HD-resolution, as well as as much as 3 GB of RAM. Sorry, there is no fingerprint scanner. The first thing you pay attention to is, of course, the diagonal of the screen - as much as 6.4 inches! The resolution is 1920 × 1080 pixels, though not a record, but quite sufficient for such a display. 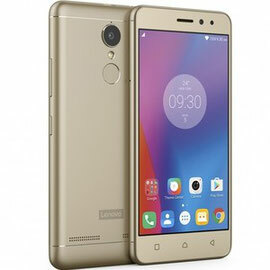 Since the dimensions are rather large, and the body is metallic, the device weighs more than 200 g.
Works Lenovo Phab 2 Plus based on the processor MediaTek MT8783, it has 32 GB of main memory and 3 GB of RAM. The capacity of the battery is 4050 mAh. Note the dual camera, a rare display dimension, a stylish appearance. Need a smartphone more, besides, like to play games? You definitely will like the Lenovo P90. This model is positioned as a gaming model, and it's not just about performance (it's all great with it): here you will find such unusual chips, like the sideways port of MicroUSB or the speaker that is located behind. All this in order to make it more convenient for you to play. 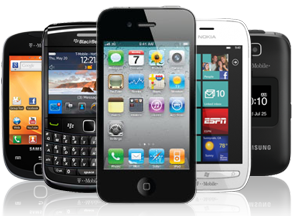 The smartphone itself turned out to be quite powerful. The 5.5-inch screen has a resolution of 1920 × 1080 pixels. The processor - 4-core Intel Atom Z3560, 2 GB of RAM, 32 internal memory. Powerful battery - at 4000 mAh, the body of high-quality plastic. The resolution of the camera is 13 MP. 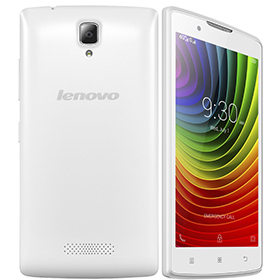 Another low-cost 5-inch smartphone from Lenovo. Its main feature is to consider a powerful battery for 4000 mAh, so that with autonomy everything is fine. The resolution of the screen is 1280 × 720 pixels, the processor is a 4-core MediaTek MT6582, 1 GB of RAM, 8 GB of built-in memory. The camera is at 8 MP. It differs in low cost. The smallest device in our review is the Lenovo A1000. This is a 4-inch smartphone with a resolution of 800 × 480 pixels. The processor - Spreadtrum SC7731, 1 GB of RAM, 8 GB of internal memory. The capacity of the battery is 2050 mAh, the resolution of the main camera is 5 MP, the front camera is 0.3 MP. Supports 4G networks, no, there is 3G support. It differs in low cost. Need a smartphone even more? No problem. We strongly recommend that you pay attention to Lenovo Vibe Z2 Pro. Yes, this is not the newest model - its premiere took place in 2014. But! Lenovo Vibe Z2 Pro has overtaken its time. A quality 6-inch screen has a resolution of 2560 × 1440 pixels (!). The processor - the most powerful 4-core Qualcomm Snapdragon 801, 3 GB of RAM, 32 GB of main memory. There is support for LTE, an excellent camera at 16 MP. Particular attention should be paid to the body of aluminum - it is magnificent and attracts looks. Пусть и не самый новый смартфон, но весьма интересный. Позиционируется он как камерофон, на что намекает и внешность задней части корпуса — напоминает настоящий фотоаппарат. Впрочем, и по части всего остального устройство получилось очень и очень неплохим: 5-дюймовый экран с разрешением 1920×1080 точек, процессор Qualcomm Snapdragon 615, 3 Гб оперативной и 32 Гб внутренней памяти, слот для карты памяти, есть даже отдельная кнопка для создания фото! Так если вам нужно нестандартное решение, обязательно присмотритесь к Lenovo Vibe Shot.